The Pakistan question looms large in China-India counter-terrorism discussions. 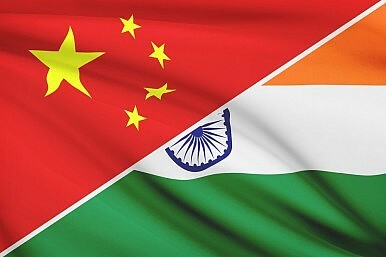 Earlier this month, on November 4, representatives from India and China met in New Delhi for the seventh round of their bilateral counter-terrorism consultation. The dialogue was the first since India’s Bharatiya Janata Party-led government came to power in elections in May 2014. According to The Hindu, the Indian delegation requested that China share its counter-terrorism practices with India. Specifically, New Delhi requested information on how China handles terrorist threats in its restive western province of Xinjiang, where Uyghur separatist militants regularly operate. “China shared its experience of how it curtailed jihadi activities in Xinjiang province and the steps taken by it to bring in normalcy in the region. We also asked China to help us understand their cyber security network, which is one of the best in the world,” said a senior official who spoke to The Hindu. Counter-terrorism has received high-level attention in the India-China bilateral relations recently. Though this was the first meeting of the specialized consultative group on counter-terrorism, both Chinese President Xi Jinping and Indian Prime Minister Narendra Modi emphasized counter-terrorism cooperation during consecutive state visits (Xi to India in September 2014 and Modi to China in May 2015). As I noted earlier this year, tensions between the current Indian and Chinese governments spiked earlier this year when China blocked a procedural motion initiated by India at the United Nations to question Pakistan over the release of Zaki-ur-Rehman Lakhvi, a Lashkar-e-Taiba commander who is on the UN’s sanctions committee list per resolution 1267. Modi reportedly raised the issue with Xi when the two leaders met on the sidelines of the BRICS and Shanghai Cooperation Organization summits in Ufa, Russia earlier this summer. If India did raise the issue of Pakistan with China, it’s unlikely that New Delhi won any major concessions. Pakistan and China are allies and Beijing’s support for Islamabad at international forums is long-standing. Though the recent incident over Lakhvi highlighted this rift, it hasn’t led to a shift in how China treats New Delhi’s concerns over terrorism originating in Pakistan. In recent years, however, China has started applying pressure on Pakistan over the issue of Uyghur militants operating out of its territory. The counter-terrorism issue will likely arise soon enough in the India-China bilateral. Rajnath Singh, India’s home minister, is set to visit Beijing next week for five days. According to NDTV, his agenda in Beijing will include cross-border cooperation on counter-terrorism and China-based support for militants in the Indian northeast. Singh’s visit comes shortly after General Fan Changlong, vice chairman of China’s powerful Central Military Commission (CMC), visited both India and Pakistan. What Does India’s Strategic Community Perceive As the Country’s Largest Challenge? Brookings’ Survey of India’s Strategic Community reveals a few interesting aspects of New Delhi’s foreign policy.